In their continuing effort to shift blame for mass killings from the weapons that have been used for these purposes, the NRA has finally decided that the lack of exercise by the deceased has led them to become the perfect victims for their registered members. NRA: If you’re slow, you’re dinner! According to their proposed theory, anyone who has watched any documentary on the National Geographic Channel would instantly see the correlation between the wild animals depicted in these specials and the gunmen who have perpetrated the recent horrendous events and how they always prey upon the slow and weak. The lack of physical activity has been linked to many diseases that afflict mankind, but this is the first attempt to make a link between that and becoming an innocent bystander in a mass killing. 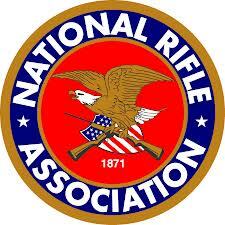 The NRA does financially support many studies that document the effectiveness and prudence of their policies. Though these have been called into question by people who have any back ground in scientific analysis, they continue to use these studies to further their cause. Even the logical expansion of background checks of purchasers of firearms has been met with resistance. While the NRA fully believes that to expand this process would inhibit the second amendment rights of law abiding Americans, they continue to fail to see that many of these same Americans would prefer to go to bed tonight with the person they cuddled in the morning.